This is a 5 Gallon Manual Hand Purified Water Pump Dispenser for siphoning purified drinking water out of 5 gallon bottles. 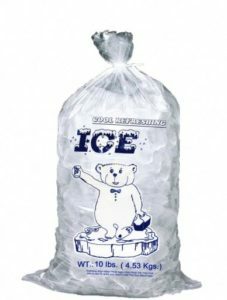 It can deliver approximately 8 ounces of water a second for fast filling. 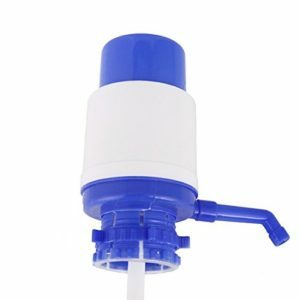 This pump is compatible with both screw top and crown top bottles. Crown top is the top that is used on most water dispensers. As a result, this makes it universal on most standard bottles. As always this is BPA Free to ensure you get the best cup of Purified water possible and also reduces the amount possible contaminates in your water. Place hands on top of 5 Gallon Manual Hand Purified Water Pump Dispenser and press down. Water pours out the side faucet and into your cup. Easy enough to use with one hand. The spring loaded top returns the top plunger to original position after it is let go and therefore is ready for next use. It is possible to remove assembly to wash unit out thoroughly which makes it a great option. There are also a small amount of moving parts located inside which means that it will last a long time.